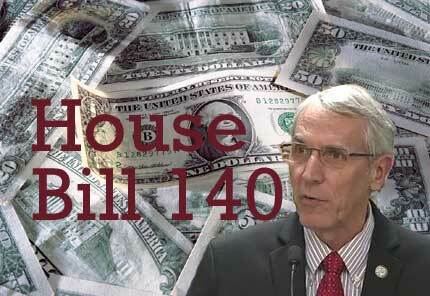 [Update: Two days after this story ran, the North Carolina Senate repeated the action taken in the House and overrode the Governor’s veto of House Bill 140. The controversial credit insurance provision described below is now state law.] The notion that elected officials often debate and even enact new laws based on a faulty understanding of what they are discussing and/or voting on is, of course, nothing particularly new. With access to sufficiently detailed archaeological records, it seems a safe bet that one could find many an instance of ancient Roman senators voting one way or another on important proposals based on their utterly inaccurate understanding of the facts. Moreover, in 2017, Donald Trump has taken fact avoidance in law and policymaking to new and previously unimagined levels – at least with respect to acts of the world’s greatest democracy. Still, when it comes to acts of properly constituted legislative bodies in the modern day United States, most Americans have come, rightfully, to expect some basic level of truthfulness and accuracy in the explanations and discussions of new laws that are enacted. While elected officials certainly have the right to their own interpretations of often complex and confusing legislative proposals, we all can agree that they ought not to, at a minimum, enact new laws based on patently inaccurate explanations of what the new laws will do. For example, whether we agree with the outcome or not, it would simply be wrong for lawmakers to enact a new law that legalized casino gambling in a bill that was publicly explained and defended as merely making changes to the state Education Lottery. Amazingly and quite disturbingly, however, it was just such a remarkable and almost completely fact-free scenario that played out in the North Carolina House of Representatives last week on a vote to override Governor Cooper’s veto of a controversial measure about the sale of “credit insurance” by high cost consumer lenders. As explained in this article last month, during the waning days of the legislative session that adjourned in late June, state lawmakers slapped a last minute amendment on a bill dealing with dental insurance that expands the circumstances under which consumer finance companies (i.e. high interest loan shops) can sell credit insurance to borrowers. The proposed change was never heard or discussed in a committee. Credit insurance is a frequently lousy and expensive product that can pay part or all of one’s payments on a loan if certain unexpected events occur. High cost loan shops love to pack their loans with this stuff because it’s very expensive and most borrowers add the insurance premium right into their loans and finance it at the same exorbitant interest rates charged on the loan itself. The lenders also get a fee from the insurance companies for selling the stuff. One of the most predatory forms of credit insurance is something called “credit property insurance.” The idea is that you borrow some money (say, $2000) and put up some possessions you own as collateral. You then buy insurance on those possessions and if they are somehow destroyed or lost, the insurance company may pay the lender some part of what you owe. As you can see, the basic idea of this product is inherently problematic and of very limited value to borrowers (the people who pay for it). As the National Association of Insurance Commissioners notes in a consumer alert, unlike other forms of credit insurance, credit property insurance is not directly related to an event affecting one’s ability to repay their debt. Not surprisingly, credit property insurance has a terrible record. In North Carolina, less than $9 is paid in claims for every $100 that borrowers pay in premiums, a far cry from the 60% payout rate recommended by the National Association of Insurance Commissioners. What’s more, loan “flipping” (the practice whereby consumers have their loan repeatedly refinanced when they’re struggling to make payments) only makes this whole mess worse because the borrower doesn’t get a full refund on the “unused part” of their insurance premium when they refinance, but they still pay the full premium again on the new loan! Needless to say, credit insurance can be an extremely confusing product – especially for unsophisticated consumers like many of the people who borrow from high-cost loan shops. At a minimum, changes to the laws governing such a problematic product ought to be thoroughly and publicly vetted. In this case, however, not only was the proposed law change never thoroughly vetted, it wasn’t even accurately explained. This is simply wrong or, at the very least, badly misleading. Setting aside the fact that there were plenty of ATV’s and jet skis around in the 1990’s, the proposed change is not about insuring people who purchase those kinds of expensive products. Why in the world would anyone go to a consumer finance company that loans money at effective rates of 30, 40 or 50% per year to buy a $10-15,000 ATV or jet ski? No, the bill is about desperate people who go to loan shops to borrow money to pay their bills – say $3,000 or $4,000 – and then put up their personal property (be it their computer or dining room suite or maybe their muddy, old used ATV) as collateral for the loan. According to the most recent North Carolina Commissioner of Banks annual report on the state consumer finance industry, there were 438,615 loans made by small loan shops in North Carolina in 2015. Of that amount, only 9,458 or around 2% were in excess of $10,000. The vast majority of loans were for less than $5,000 and more than two-thirds were for less than $3,000. And, again, remember: any of the handful of credit property insurance claims that ever actually get filed and paid off go toward paying off part of the loan – not making the borrower whole. Not only will the proposed bill help the industry sell more junk insurance going forward, it likely helps to cover their tracks for bad behavior in the past. In his remarks last week, even Rep. Szoka admitted that it was a problem that the credit insurance change was never the subject of a separate bill or discussed in a committee. Of course, the explanation for this is pretty obvious: if it had been heard in such a way, there likely would have been a genuine chance for consumer advocates to speak out and for real public light to be shined on such a confusing and destructive bill. Unfortunately, open process isn’t something the leaders of the North Carolina General Assembly value much these days. If, as expected, the Senate overrides the Governor’s veto like the House did last week, a scamming industry will have prevailed and, much like the borrowers it preys upon, most state lawmakers won’t even know that they’ve done.